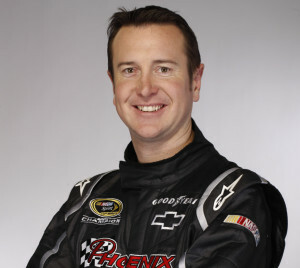 When Kurt Busch was just 15 was already a hometown hero in Las Vegas’ Dwarf Car Series. In 1994 he was Nevada’s Rookie of the Year, and one year later he was named series champion. Kurt then grabbed the Hobby Stock championship at Las Vegas’ Speedway Park in 1996, and started catching the eye of NASCAR’s touring series owners. By the time 1998 rolled around he was on the tip of everyone’s tongue when he won the Rookie of the Year title in the Southwest Touring Series, and went on to take the series title a year later, just like he had done with the Dwarf Series. In 2000 Busch began racing in the Craftsman Truck Series for Jack Roush, and ended up taking 4 checkered flags and the number 2 spot in the overall championship standings. And then, in a move that had everyone wondering what he was doing, Roush moved Busch straight from the Craftsman Truck Series straight into the Cup Series. And despite the fact that no one thought he could pull it off, Kurt finished the season with 6 top-ten finishes and once again took Rookie of the Year – as well as his first ever Cup Bud Pole Award. In 2002 Busch won his first Cup victory at the spring race in Bristol, which would be just the first of four in a season that made sure everyone knew he was a Cup star.